Sams Furniture's Best of the Best Mattress Sale! The BEST prices on BEST selling mattresses are available now at Sams Furniture. Stop in today and let us help you find the perfect mattress and power base! 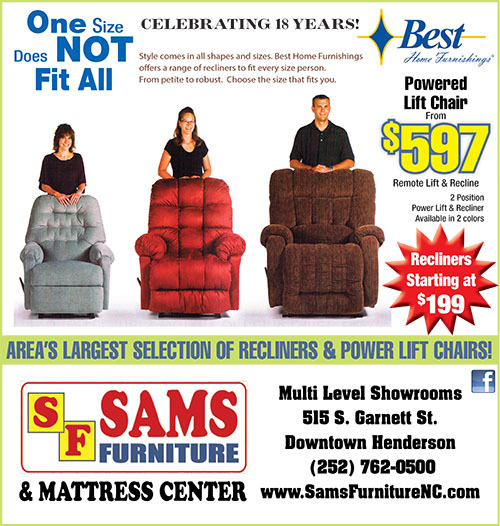 Sams Furniture & Mattress Center has the area's largest selection of recliners and power lift chairs starting at just $199. Stop in and find the perfect fit!